The Love-Life Learning Center is dedicated to providing reliable love-life information to our users. This is precisely why we exist. To help you find your way around the overwhelming number of love-life services online, we’ve taken a close look at some love-life oriented websites and believe the ones we’ve chosen offer quality services. Joe Morris of 100bestdatingsites.org reviews dating sites and provides very useful information to help people interested in dating online to have a safe and satisfying experience. We’ve checked him out and encourage you to do the same. Joe gets the LLLC seal of approval. Two thumbs up for 100bestdatingsites.org! The photojournalist and wedding photographer Jennifer Domenick’s website and blog love.lovelifeimages.com enshrine the images of true love with a level of creativity that is truly inspirational. Those individuals lucky enough to have their marriage documented by this artisan are in possession of a work of art. I was captivated by each photo and the story of love they communicated to me. I encourage my readers to take a look and expect to spend some time there. Two thumbs up for love.lovelifeimages.com! This poetry website http://www.best-love-poems.com will be extremely useful to any of you lovers out there who need some inspirational words to help you express your feelings to your beloved. They feature all kinds of poems and prose for different love-life occasions. The organization of this website alone makes it a super interesting and very easy to use resource. And the best part is, you can post a poem or comment on some else’s poem as part of their poetry community . Thumbs up for the Best Love Poems website! If you are thinking about or going through a divorce, this website divorce.laws.com will prove invaluable to you. The legal issues involved, state laws governing divorce, and all the other issues like those involving children, legal advice, financial matters, etc. are all on this site. It’s an information powerhouse for people struggling with this love-life problem. The one thing you will need or certain as you go through this often painful experience is reliable information. Thumbs up to divorce.laws.com for making the process a little easier. This is one of the greatest online resources for single mothers out there on the web. They have an interactive community of people and tons of great information relevant to moms especially single moms. Two big thumbs up for searchmothers.com. If you find yourself contemplating or actually in a divorce situation, consider a divorce mediating lawyer. This is someone who will represent both of you. He or she will help the two of you come up with a fair agreement that avoids the hassle and money involved in hiring adversarial lawyers. To find a divorce mediating lawyer check out the directory at www.mediatinglawyers.com. Many of the lawyers listed in this directory are trained in divorce mediation. The site provides links to all the info you need to make a good choice. 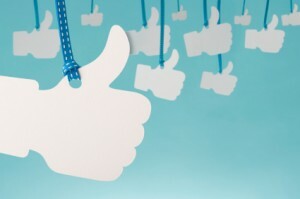 Thumbs up for www.mediatinglawyers.com.